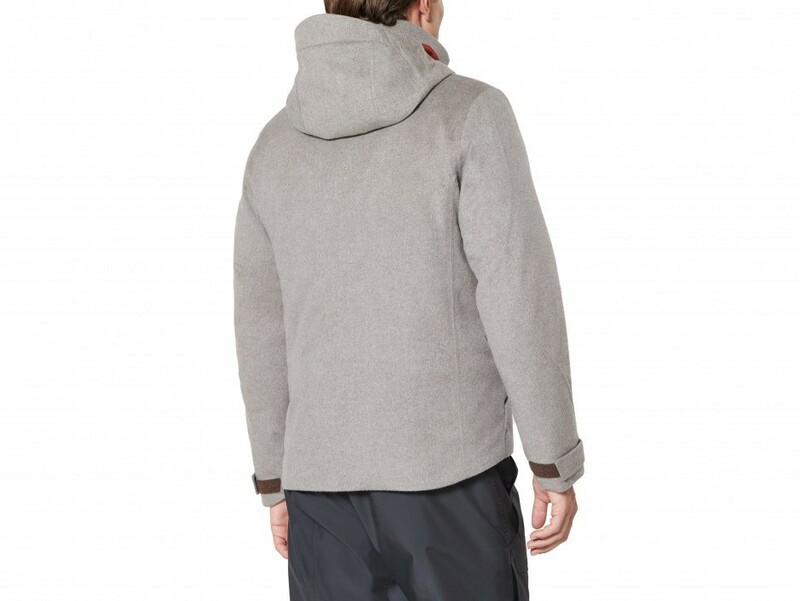 The insulated ARMADA jacket is made in a laminated cashmere fabric. 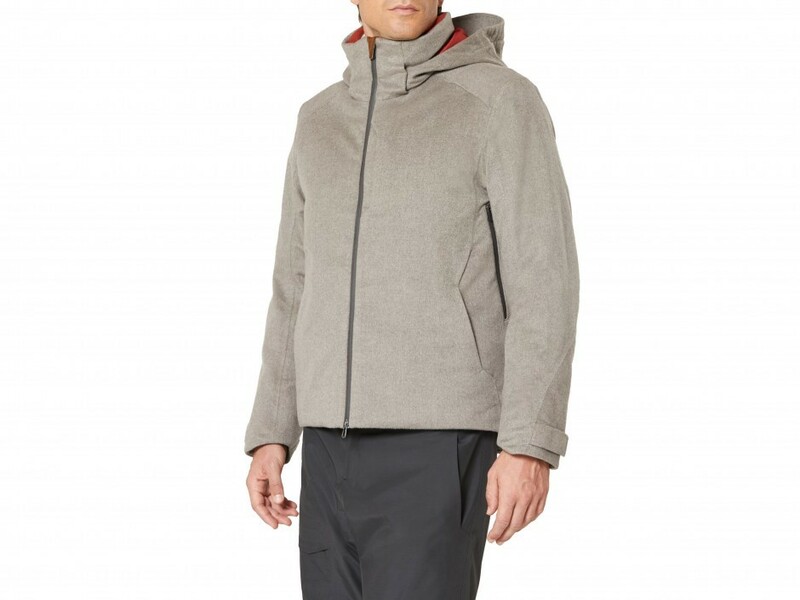 The jacket is waterproof, breathable, seam sealed, and wind resistant. 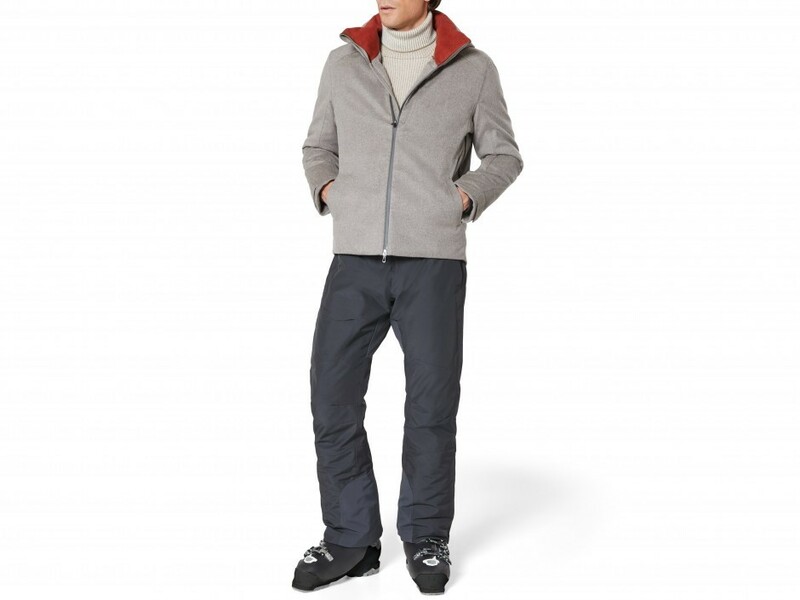 Fully insulated with Thermore Ecodown® padding to provide exceptional warmth, softness and durability. Lined with a printed recycled polyester fabric to increase moisture management performances and enhance antibacterial properties. 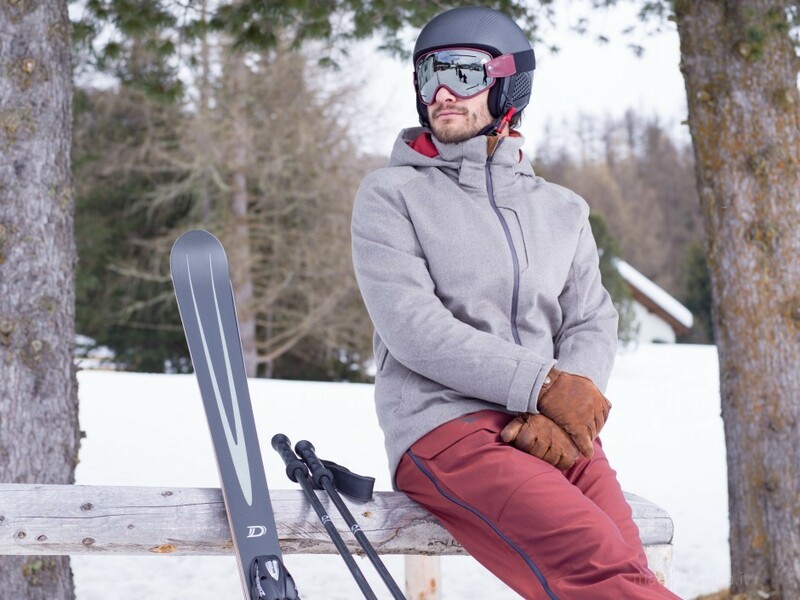 Specifically designed for skiing, the jacket can be used for multiple outdoor activities due to its high-performance material and ergonomic shape. 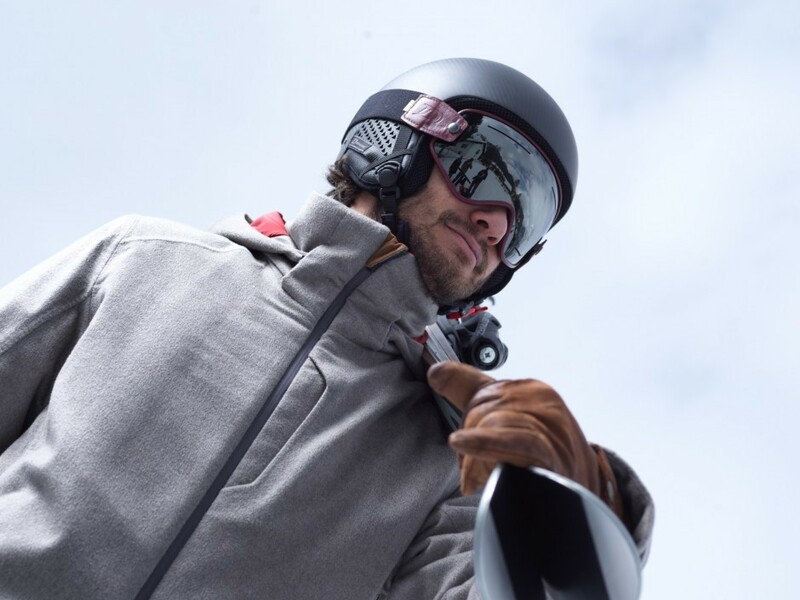 Separate internal collar and adjustable, removable hood with laminated visor and integrated RECCO® reflector. 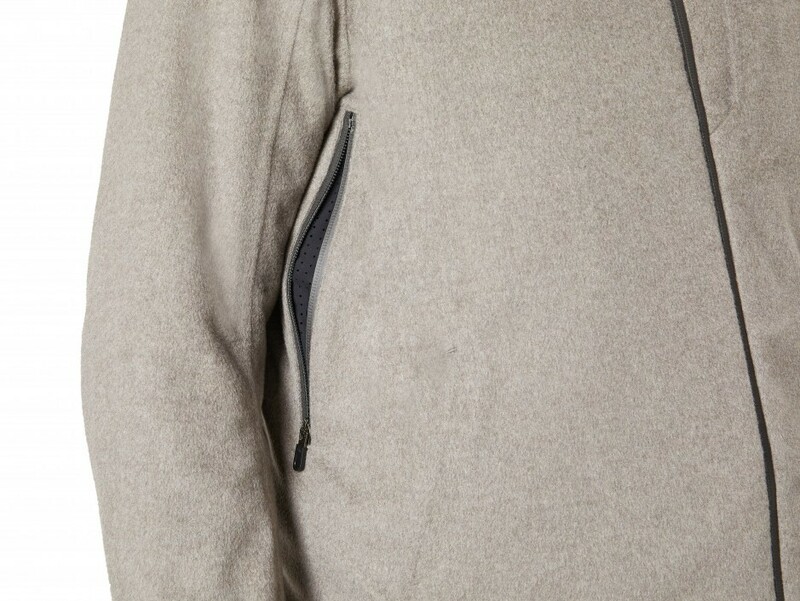 Two-way weatherproof zip fastening in center front. 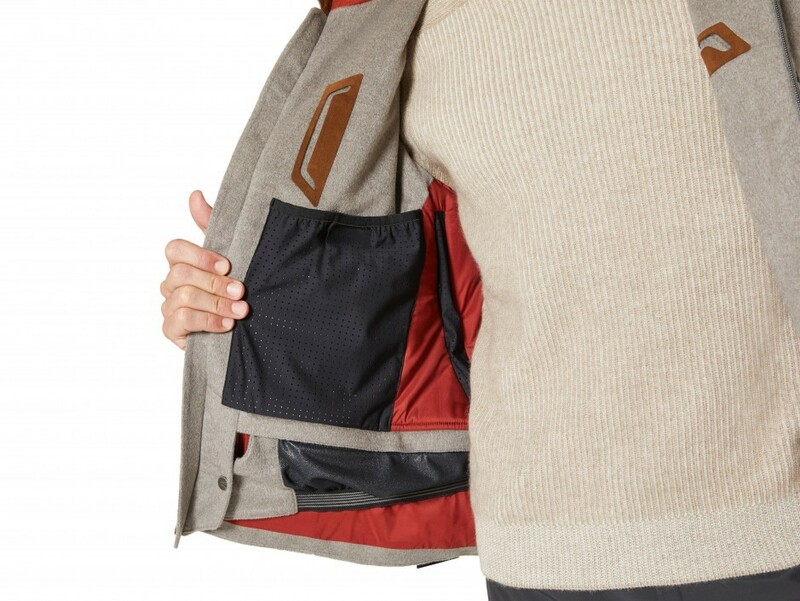 Three front zipped pockets, a ski pass pocket on the wrist, and three functional internal pockets. The ski goggles pocket is in a bi-stretch drilled fabric with a handy cleaning cloth. Practical cable output accessory to thread your headphones. Laser-cut details in Alcantara®. Velcro fastening hems with super-stretch laminated cuffs. Detachable internal laminated powder skirt with snap button closure by Cobrax.